Onga Pool Cleaners not only continue to receive excellent reviews, but are also very well priced, making them excellent value for money! 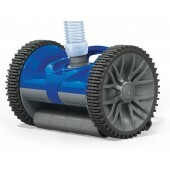 Also known as Pentair, Onga are renowned for their pool suction cleaners. Suction side cleaners attach to one of the suction ports in your pool - the plumbing that pulls water out of the pool to be filtered. Usually, this port is the skimmer, or your pool may have a separate vacuum port especially for a pool cleaner. 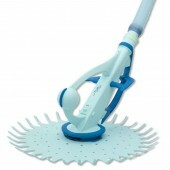 With the hose attached and the filter pump running, suction is created on the underside of the cleaner. The cleaner moves around the pool while vacuuming dirt and debris through the hose and sending it to the pump strainer basket and filter...where it belongs. Dirt and debris are sucked up by the cleaner and then through the hose, past the suction port, through the pipe, and is trapped in the filter pump strainer basket.